Fuel & Fun is Back for Spring 2017! Operators must sign up by April 29, 2017 if they wish to participate and take full advantage of this program. Accommodation Providers will be able to offer an incentive program for shoulder season travelers. Travelers are able to take advantage of the program if they stay in the region for a minimum of two consecutive nights between June 2, 2017 and June 30, 2017. To qualify they must pre-book their trip between May 8, 2017 and May 30, 2017. Explorers’ Edge will drop off a package for the traveler to receive during check in. The package will include a $50 Gas Card and two $25 Vouchers to be used at participating Experience Providers. The Experience Providers will accept the vouchers (the same as the would cash) between June 2, 2017 and July 15, 2017. Once the program ends, the Experience Providers will mail their vouchers to Explorers’ Edge to receive a check for the balance they collected. This is a great incentive program for the consumer and the tourism operators! All you have to do is sign up and market the program to your prospective audiences. 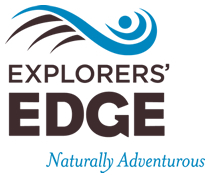 Spring is a great time to visit Explorers’ Edge and the Fuel & Fun package just makes it that much better! To ensure the the Fuel & Fun Program is providing the best experience possible to its patrons, it is now mandatory that each operator participating in the program also registers for the Tourism Excellence North initiative. Tourism Excellence North (TEN) provides operators and communities with self-assessment tools and workshops designed specifically for the tourism industry in Northern Ontario. TEN is a free tool offered to any tourism stakeholder within the region. Take advantage of this program to ensure that your tourism product is meeting its full potential. If you haven’t done so already, register for the initiative at by clicking here.